Headaches are generally classified into several basic types: Sinus, Cluster, Tension and Migraine. You can determine which type you may be suffering from by discussing it with us. While headaches are typically treated by your physician, improper occlusion (your bite) may play a significant role in certain types of headaches as well as other head and neck pain. One type of headache is by far the most common – estimated by some to be the cause of as much as 90% of all headaches. They are the tension type headaches. Furthermore, they are headaches that often originate in, or pain is referred to, the muscles of your forehead and temple. If you only experience this type of headache occasionally, they are often controlled, with over-the-counter pain medication. However, if they occur with some regularity or have persisted for a long time, it is wise to discuss them with us. If the indications are that your bite is a major factor, your dentist may recommend provisional or interim treatment. This involves the fabrication of a custom-made orthotic. An orthotic is a plastic appliance that is worn over your teeth to adjust your bite to correct the jaw relationship. At this point, nothing permanent is done to alter your teeth or your bite. You would wear this appliance for some time to make sure the new bite position is correct before any consideration would be given to permanently altering your bite. After having worn the provisional appliance for a while, both you and your dentist will know for sure if the new bite position has resolved the headache problem. If it has, you will have several options open to you for long-term treatment. Some of these options may include dental treatment to permanently improve your bite to the new position, fabrication of a more permanent type of orthotic, or using a TENS device to relax the muscles at those times that headaches are most bothersome. Solving the pain puzzle with neuromuscular dentistry. 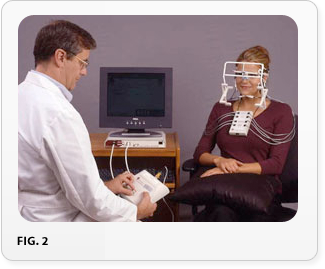 Orchard Scotts Dental is a neuromuscular/TMJ analysis facility that uses 3D diagnostic instruments. Paired with computer analysis, we can quantify your optimal jaw and bite position and thus, find the balance between facial muscles and joints (fig.1 & 2). Bite evaluation and analysis is comfortable and pain-free, resulting in accurate diagnoses. Our evaluation consists of relaxing the entire body, including the head and neck muscles in an atmosphere conducive to full mind and body relaxation. 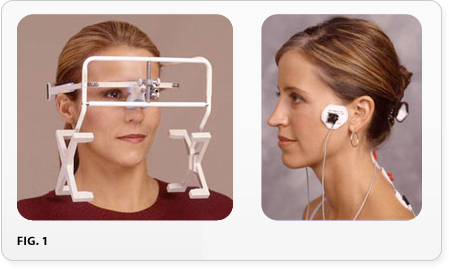 With facial myomonitor relaxation TENS therapy (fig. 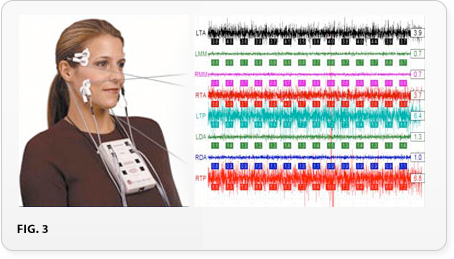 1), EMG analysis (fig.3) and relaxing aromatherapy we will register your optimal balanced occlusion (bite) to relieve your pain without invasive surgery. We invite you to visit us for your neuromuscular evaluation and examination. It’s time to start living life pain-free.